Tough, rugged, and ready for anything, this mountain bike is dropped from the sky to land prepared for action. The speed of unfolding this bike for riding will blow you away. No tools required to fold and stash in your Humvee. The Paratrooper® comes equipped with front suspension, 24-speed EZ Fire Plus® shifters, and heavy duty double cage aluminum pedals to tackle the roughest terrain. 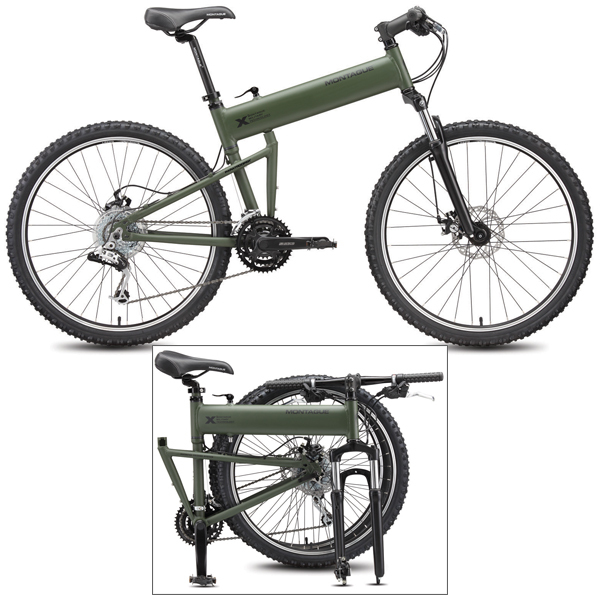 The Paratrooper® Tactical Bike uses all standard mountain bike wheels and components serviceable at any bike shop.